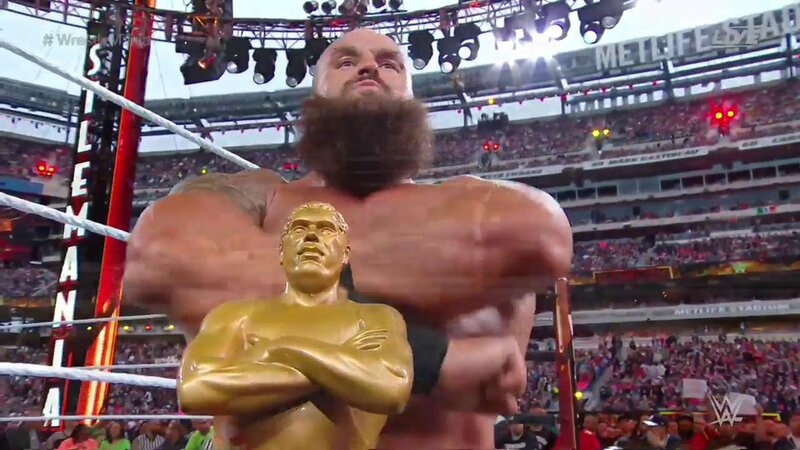 Winner, Photos & Videos From The 6th Annual Andre The Giant Memorial Battle Royal At WrestleMania 35 - Wrestling Inc.
Tonight's WWE WrestleMania 35 Kickoff pre-show saw Braun Strowman win the 6th Annual Andre the Giant Memorial Battle Royal. Strowman last eliminated SNL's Michael Che and Colin Jost, who hid under the ring for most of the match. Strowman dominated the match picking up more than 10 eliminations. The match featured Strowman, Jost, Che, Lince Dorado, Curtis Axel, Tyler Breeze, Shelton Benjamin, Bo Dallas, Heath Slater, Titus O'Neil, No Way Jose, Karl Anderson, Rhyno, Bobby Roode, Gran Metalik, Kalisto, Chad Gable, Konnor, Viktor, Tucker, Otis, Luke Harper, Andrade, Matt Hardy and Jeff Hardy.